While electric water heaters (especially those with a tank), are the most common, gas water heaters are equally as effective and consumes less household power. 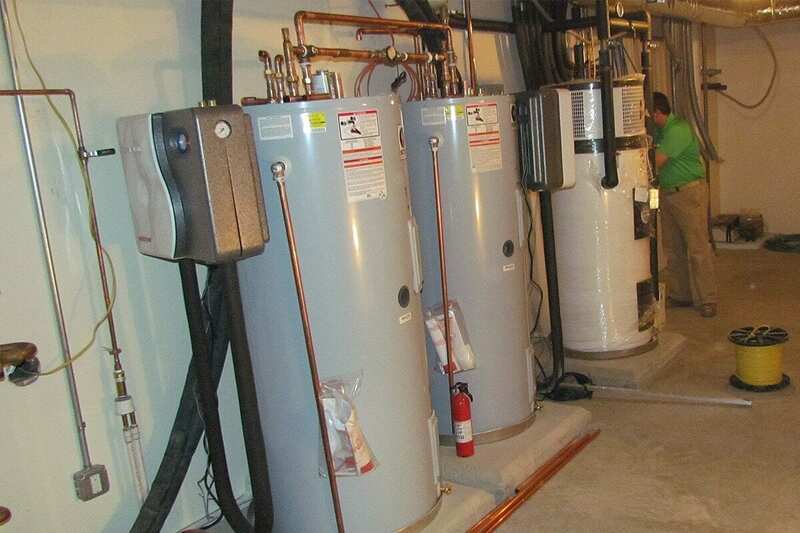 Standard gas water heaters are found mostly in homes, and sometimes it needs a little maintenance. It heats cold water and stores the hot water until it is needed. For these water heaters to function, the pilot light must be lit. The heat from the flame of the pilot light will create an electrical current in the thermopile circuit that can operate a small spring-loaded electromagnet in the gas valve. The electromagnet holds the main gas supply line interrupter open, this allows the gas to flow to the pilot and to the main burner. If the pilot light goes out, the electromagnet will no longer receive a current and the spring-loaded interrupter will shut off the gas supply. If the pilot light is lit, the thermostat of the gas valve controls the gas flow to the main burner. There is a small probe that indicates the sensor of the thermostat. It is mounted at the back-side of the gas valve and it is inserted into the water heater when the gas valve is installed. There is a knob at the front of the gas valve that allows the user to adjust the temperature. There are three common problems with gas water heaters: the water heater cannot heat the water, it cannot heat enough water, or the pilot light will not light up. You have to check the gas of the water heater if it is turned on. Turn the control knob of the gas to pilot, this can prevent the burner from igniting. Remove the metal cover at the bottom of the water heater, check if the burner and the pilot light are lit. When you see that the pilot light of the water heater has gone out, follow the thorough instructions to relight the pilot light. However, it is also possible that the gas inlet valve has been partially or fully closed. When this occurs, turn the handle parallel to the line and relight the pilot light. If the pilot will not still light, there might be a problem with the thermocouple. When the burner is not turned on, replace the cover and make sure that the thermostat is set to about 120 degrees Fahrenheit. If it is still not working, adjust the thermostat, and then wait if the water heater burner ignites. If it still does not ignite, leave the hot water running and try to lower and raise the temperature setting on the dial until the burner ignites. When the burner ignites, replace the cover and turn the temperature setting to the appropriate Fahrenheit set. If the burner does not ignite, have the water heater checked by a repair person. It might be that the thermostat of the heater is defective. The water specialist or repair person can replace the defect. Check and smell for gas. If you come to smell a garlic-like scent, immediately turn off the gas valve control. Wait until the gas smell has dissipated before igniting the pilot light again. If by chance that the gas smell is strong and has not dissipated, turn off immediately the gas supply valve. Do not forget to ventilate the place, and call a plumber to facilitate the leakage. Turn the thermostat dial on the water heater to a hotter setting. If the flame ignites when you have done this step, leave the thermostat dial at that setting, and then check the temperature of the water in about an hour. There is a technique to do this, place a meat thermometer into a cup and let the hot water flow from the faucet into the cup for about a minute. Check the temperature if it is appropriate. When the burner of the gas water heater does not ignite and the stored water keeps getting colder, check the pilot light to make sure it did not go out. When the pilot light has gone out, follow the instructions given by the manufacturer. 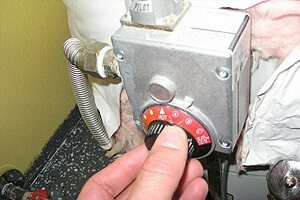 There are instances when the pilot of the water heater goes out, the orifice might be clogged and dirty, thus the flame becomes small and unsustainable. There is only one simple reminder of how to light the pilot. When the gas valve is in an ‘on’ position and the control knob is set to ‘pilot’, press the knob and push the igniter button. The light will blink when it is lit and you will see a small flame through the view pane. Set the temperature to 120 degrees Fahrenheit. Moreover, the first attempt the gas water heater is lit, it may produce condensation. Condensation is normal and it will go away once the water heater has reached the normal operating temperature. You may hear dripping sounds or see a small puddle of water in the drain pan. If this is not the cause, there might be a problem with the thermocouple. The thermocouple is the part that extends from the temperature control into the flame of a pilot light and helps the main burner fire up once the water temperature has gone too low. If the thermocouple is faulty or does not come into contact with the pilot flame.